Do I Need To Use Gluten Free Mineral Makeup & Skin Care? Does My Makeup, Skincare Or Any Beauty Product I Use Need To Be Gluten Free? Dealing with Celiac disease has brought up an interesting and pointed question about mineral makeup, skincare ingredients, or any makeup product whether it be lipsticks, glosses, powders or liquid foundation. This has become a growing concern among women that are getting recent diagnoses of having Celiac disease, which also finally explains why they feel so sick at times. We felt it was important to do extensive research on this subject and to further explain about Celiac disease. It is vital we continue to help and educate women that are now suffering from it, on how and what to do when making a decision on using our mineral makeup or our ONATI Skin Care, including any other brand of personal care products. Customers are contacting us about their Celiac condition and want to make absolutely sure our mineral makeup was gluten free as it related to our use of Rice Powder in our mineral formulas. Fortunately the fact is, rice powder contains no gluten and is on the list for substituting it for other dietary flours. Furthermore, our rice powder is cosmetic grade, is modified and refined (no coarse texture) and is no way similar to rice flour you would find in a specialty store. What Makes Some Women Sensitive to Gluten? Celiac Disease is a digestive disorder that damages the small intestine and interferes with absorption of nutrients from food. 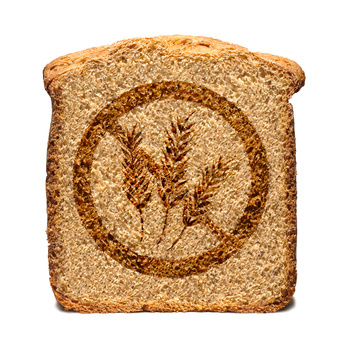 People who have celiac disease cannot tolerate gluten, which is a protein in wheat, rye, and barley. Gluten may be found mainly in foods but may also be found in everyday products such as medicines, vitamins, toothpastes and lip balms. For instance, Vitamin E can be sourced from Wheat Germ so this is a concern for those who require their diet to be gluten free. Reading ingredient labels becomes a way of life and this information is very important in order for people afflicted with this disease to keep it under control since there is no cure, only preventative treatment at the present time. The Real Question Is, Can Gluten Be Absorbed Through The Skin? The simple answer is "no" but it is more than just that simple. There is a common misconception which comes from those who have been misinformed or they are unsure due to the endless confusion about this subject being propagated all over the internet. Many doctors are also unsure, however, one source that we consistently check and know to be medically factual, is the Mayo Clinic Resource Center. 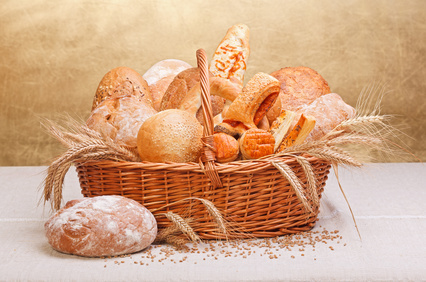 The real concern is all connected with ingesting whole grains which are primarily found in processed flour, pasta, breads and cereals or using a mouthwash or toothpaste that may contain gluten from other sources like vitamin E, artificial flavor or certain types of food starches, which are the triggers to Celiac symptoms. This is another reason why those with Celiac disease must read labels very carefully. The Actual Issue May Be This Common Symptom: Why some may feel they need to avoid mineral makeup or any skincare product containing gluten is based on another form of the disease known as dermatitis herpetiformis. This version of the disease results in an itchy, blistering rash. Although it is linked to gluten intolerance, it is controlled and managed through avoiding the actual ingestion of gluten and not by avoiding putting anything containing gluten on the skin. Unless you are swallowing your cosmetics, the concern for gluten free mineral makeup, skincare or other personal care products, like shampoo or conditioner, should be quite low to zero, while other types of beauty products may require an exercise in caution depending on how they are used. Areas around the mouth can sometimes be affected causing further confusion in the celiac sufferer since a reaction to something else in the cosmetic may be causing a problem and gluten becomes the suspect. The actual culprit when using mineral makeup, liquid makeup or any skincare product can stem solely from a person having a habit of licking the areas around the mouth or their lips after makeup application. Again, this would be ingesting the product! It is the subtle things we do that we may not even be aware of causing us the most grief. However, since celiac disease is an autoimmune disease, it makes our bodies less tolerant of many things that an otherwise perfectly healthy person would not react to. So only your dermatologist can help you identify the actual cause of a certain reaction on the skin through allergy testing if a skin reaction continues. It is probably also a good idea to work in unison with a doctor specializing in Internal Medicine. When dealing with the subtleties of makeup and skincare application, wiping the areas of your mouth with a wet washcloth after putting these on can help prevent you from ingesting even a minute amount, depending on your level of sensitivity. It is also important to note that levels of perhaps the ingredient of concern, are greatly reduced in ratios depending on it's location on the ingredient list. This is why products that use flour for baking have the highest incidence of gluten reactions due to flour being the overall component for the baked goods. On that same note, we also recognize that it is probably not a good idea to eat right after putting on your makeup since again, you will ingest the powder or liquid with the first bite of food if you did not clean off the areas of the mouth first. I Avoid Gluten, So What Makeup And Skincare Would Be Best For Me? We know that some types of cosmetics, may still need to be avoided overall for those highly reactive to gluten. Lip products for instance, whether it be lipstick or plain lip balms can have a gluten by-product which can cause a reaction. Again, not because it is absorbed through the skin. It is a known fact that anything we wear on our lips gets ingested. It may be in very small increments, but ingested all the same. So it does stand to reason, if lip products have gluten in them, the wearer can have a varying response to the product being used. The vitamin E used in our lip colors is Rice sourced. When in doubt read labels and for best case scenario ask the makeup manufacturer for their sources of Vitamin E. This ingredient can also be sourced from soy, various nuts and oils, olives and avocado. Jojoba oil is rich in vitamin E which is in our mineral makeup foundation. Check with your doctor to make sure products containing Hydrolyzed Wheat Proteins are acceptable. We do have one ONATI Skin Care product that contains this ingredient and it is our Honey Foaming Cleansing Gel, yet to date we have had zero complaints from those that use it since it is a wash and rinse product. Another favored ingredient for skin care users is Avena Sativa (oat starch) since it has been classified as gluten free and is part of a gluten free diet. Remember, the ingredient used in cosmetics or skincare has been purified and refined similar to rice powder. To all those who suffer from celiac disease our hearts go out to you. Please be well!